Sundance is a golf community in Buckeye, Arizona. This age restricted community is open to those who are 45 years old or older. 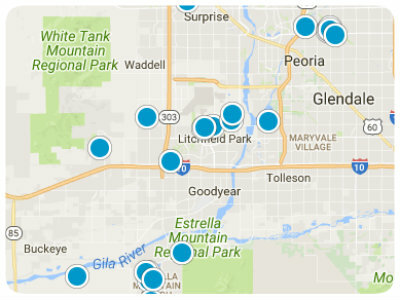 Active adults are drawn to this community in Buckeye for the variety of amenities as well as the affordable housing. A full-time activities director is available to help arrange for the many activities the residents are engaged in. Although the area is experiencing fast growth, there is still a small-town atmosphere in the Buckeye area. Residents of Sundance enjoy the spacious 15,000 square foot clubhouse at the Golf Club at Buckeye. The clubhouse has an indoor swimming pool, fitness center, and courts for tennis, bocce, racquetball, and pickleball. There are also rooms for crafts, cards, and billiards. The clubhouse also has a library and a restaurant. The 18-hole golf course has fantastic views of the Sierra Estrella as well as the White Tank Mountains. The course is challenging, has four sets of tees and provide a range of play from 5,300 to 7,000 yards. It is a good course for many different skill levels. Additional outdoor activities can be explored on the many multi-purpose trails. These trails link parks and recreation centers to the neighborhoods, making walking or biking an easy way to get around the community. Events take place throughout the year under the direction of the activity director, ensuring there is always something going on for those who desire an active lifestyle. Sundance real estate includes new homes as well as resale homes. Construction began in 2002 and continues. Sundance homes are ranch-style single-family homes with many different design styles. All the houses have two to three bedrooms, two or two and a half baths, and two-car attached garages. 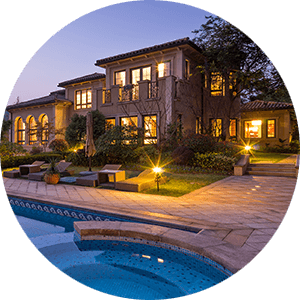 Built with eco-friendly practices, many feature pools, and covered patios. The sizes of the homes in Sundance range from 1,1136 to 2,209 square feet of living space. 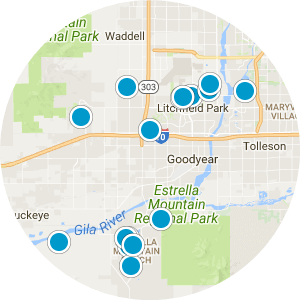 With the beautiful views, the amazing local amenities as well as those in Buckeye and nearby Phoenix, this is, without doubt, a must consider destination for 45-year-old or older homebuyers searching in the Phoenix area. 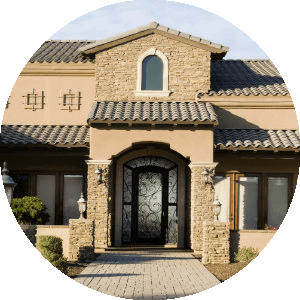 If you would like more information regarding homes for sale in Sundance, Buckeye, Arizona, please contact us today and allow us to assist you.